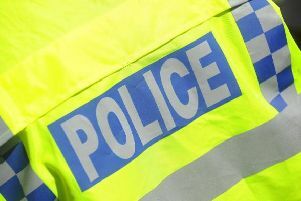 A man who police have been trying to track down for almost a week has been arrested in Rushden. Arthur Collins, 25, was wanted by the Metropolitan Police in connection with an incident in a London nightclub. The investigation began after police were called to the nightclub on Sidworth Street in Dalston, at 1.10am on Monday, April 17, after a noxious substance was sprayed. Last night (Saturday) Collins was arrested in Rushden by officers from the Met’s Specialist Crime & Operations and Hackney Borough, with the assistance of armed officers from the East Midlands Operational Support Service (EMOpSS) and Northamptonshire Police. Collins, the boyfriend of reality TV star Ferne McCann, was arrested on suspicion of attempted murder and was taken into custody. A number of people suffered burns during the alleged attack with two blinded in one eye.